Cozy bungalow near downtown Greenville and Swamp Fox Trail, eating and shopping. 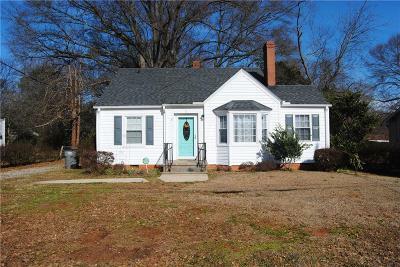 This home is consist of hardwood floors, new bath , and fresh paint. Also a room that could be used as 3rd bedroom of office with lots of windows for natural light. Backyard is fenced with workshop or man cave. Huge deck great for cookouts and entertaining.